However, what you may not realize is that we have one of the most extensive CE/CME course offerings in the industry. PL CE LIVE: These sessions review some of the top recommendations of the month. We discuss the issues you face every day, and give you the guidance and practical advice you need to handle those challenges. PL VOICES: Clinical Recommendations: Listen in as our Editorial Board and experts discuss and debate the clinical recommendations that will ultimately be published in our monthly letter. This is where the decisions are made just days BEFORE we go to press. PL VOICES: Prescribing Insights Roundtable: This features a more in-depth discussion with practicing clinicians on the rationale behind our recommendations and how to apply these to your practice. PL VOICES: Special Editions: These interactive webinars are on topics of interest to help you make changes to your practice, learn about new guidelines, or stay abreast of hot topics in the clinical arena. 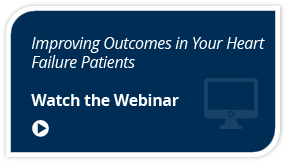 Subscribe today and enjoy the many benefits of our Live CE/CME offerings. Pharmacist’s Letter's Therapeutic Research Center is accredited by the Accreditation Council for Pharmacy Education as a provider of continuing pharmacy education. Therapeutic Research Center is accredited by the Accreditation Council for Continuing Medical Education (ACCME) to provide continuing medical education for physicians.